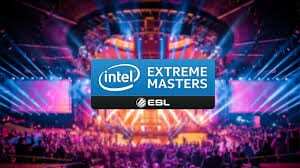 The first CS:GO major tournament in 2019 “IEM Katowice” in Poland, has already started off with some major upsets occurring in the minor round of competition, which is what teams play through to get into the major. The mixed nationality team of MouzSports, the 4th best team in the world, who features some of the best players in the world, was eliminated in the minor by Valiance, the 28th best team in the world, who also failed to make it into the major. The Danish team North, the 12th best team in the world, who boasted one of the best players in the world, valde, was eliminated by ViCi Gaming, a Chinese team, in the minor. There are 2 types of teams at the major, which are “Legends” and “Challengers.” “Legends” get a bypass to compete against the top 8 teams at the major and don’t have to go through the minor. For every win in the Legends stage the team gets some ELO (ranking points) and when they lose, they ELO lose. The teams that have the worst ELO by the end of the Legends stage are put into best of three matches to see who is eliminated. “Challengers” have to play through the minor to get into the major.